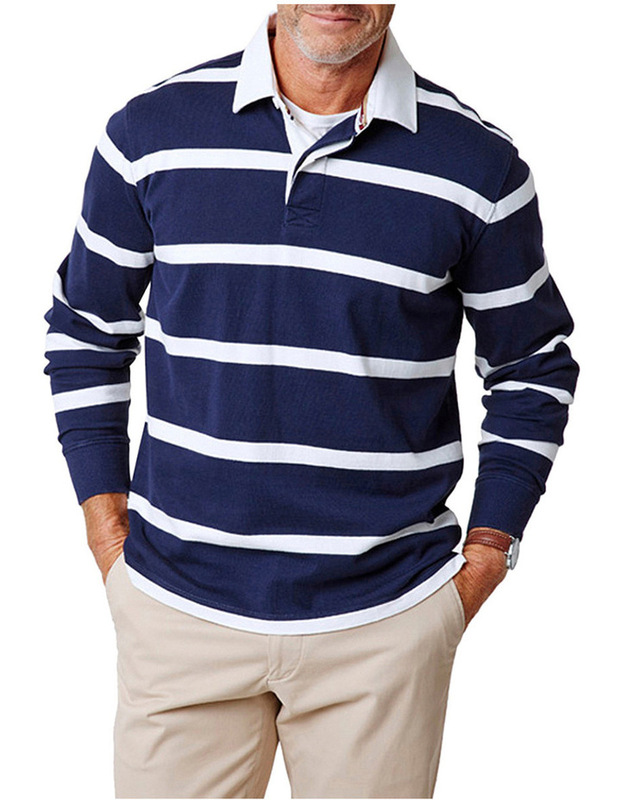 Redefine casualwear with our classic stripe rugby jumper. 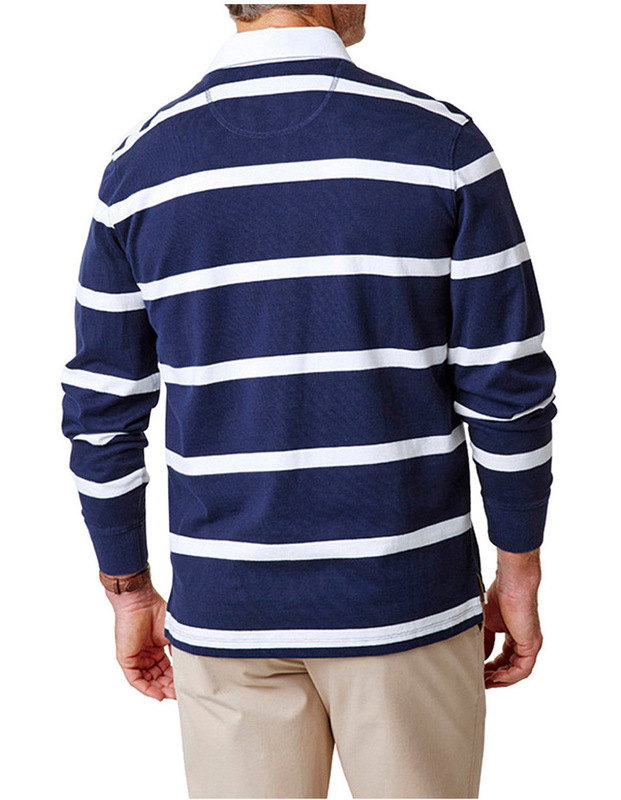 Made from pure cotton, the horizontal stripes scream effortless weekend style. 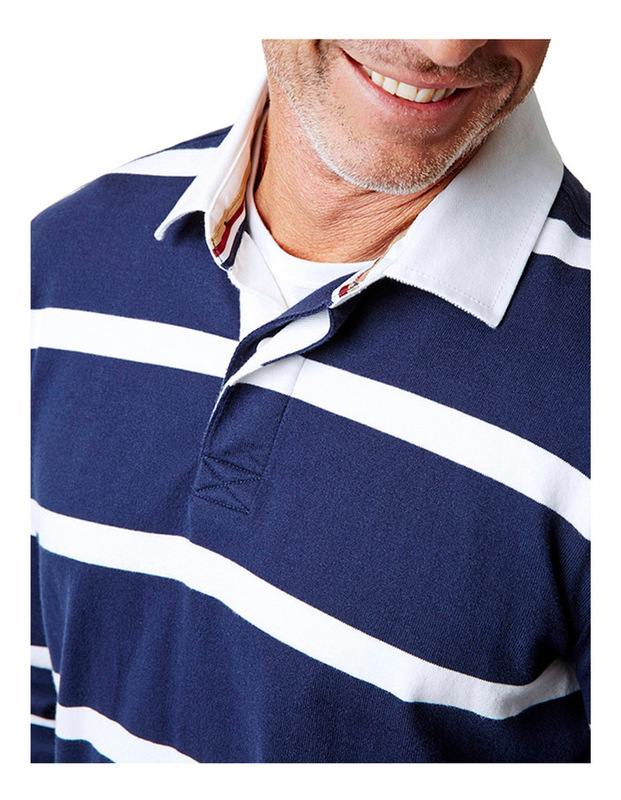 Highlights include a soft washed fabric finish, rib cuff, woven collar and 2-button placket. We really have thought or everything.